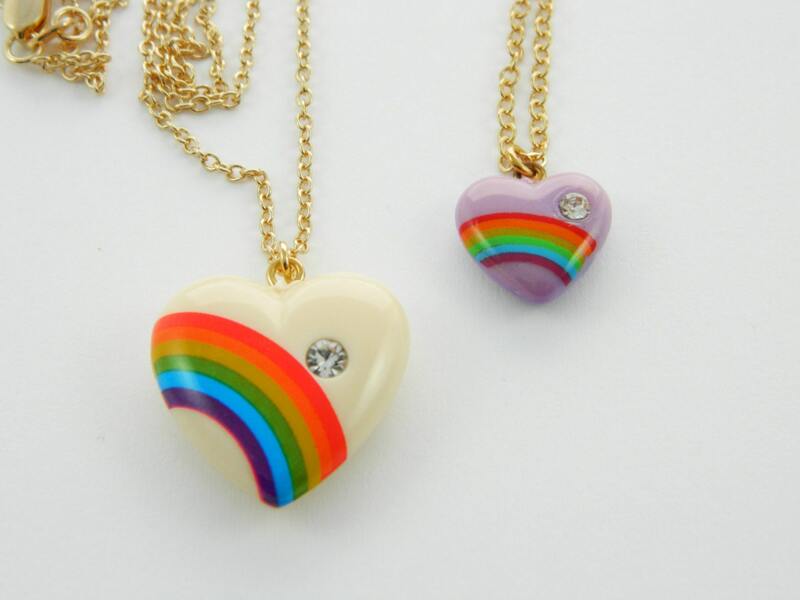 Vintage Rainbow Heart Pendant Necklace. Made from a Vintage 70s pendant. 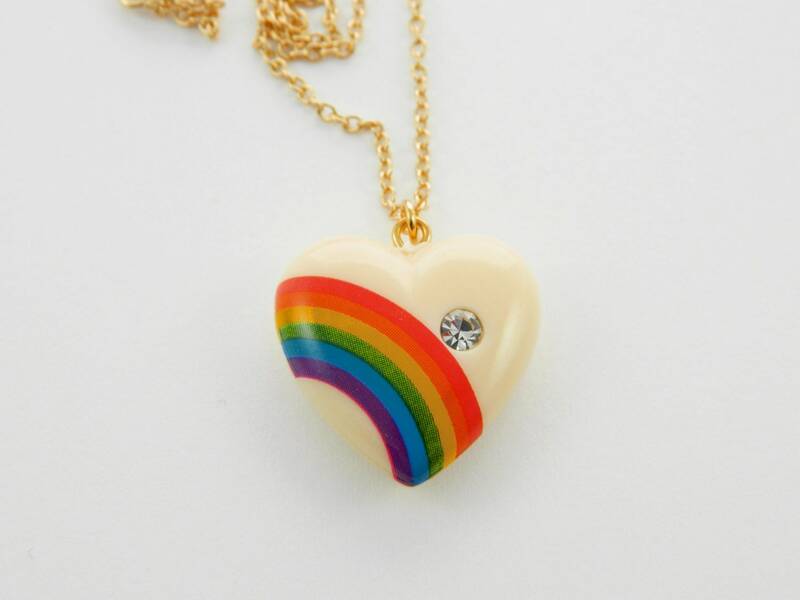 1970s Cream Rainbow Heart Pendant with Crystal. 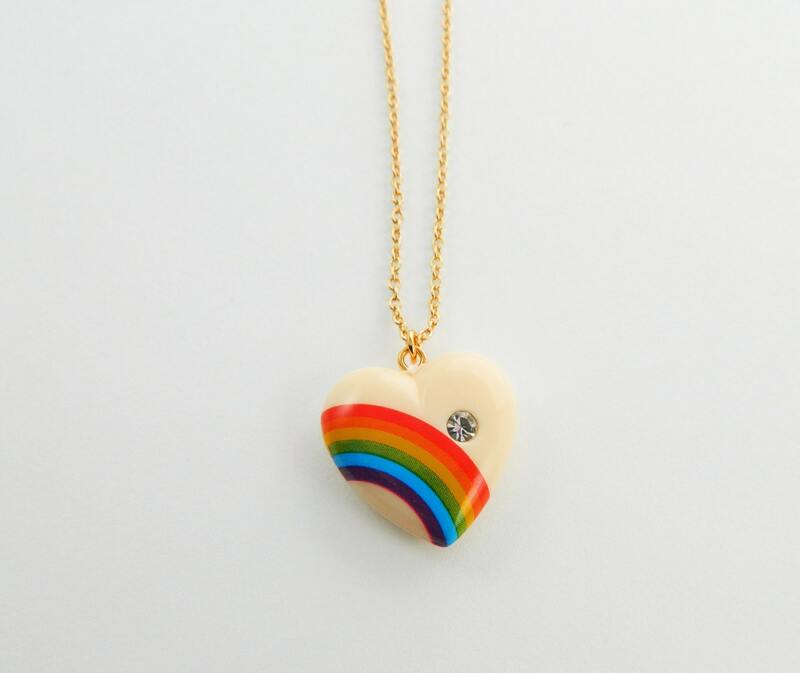 * Please note picture #3 - this Pendant is larger than the other colors of Rainbow Hearts. Pendant Dimensions: 24mm H x 22mm W.